Give Your Bridesmaid the Best Gift! Check out these fun and unique ideas to gift to your bridesmaids! No bride would be able to pull off a wedding without her bridesmaids. These important ladies are the bride’s nearest and dearest, helping her through every step of planning her magical day. For this reason it is tradition for a bride to get her bridesmaids a form of gift to thank them for all their hard work and patience for dealing with any bridezilla tendencies. This little gift should show your bridesmaids how much you appreciate them and their help. Bridesmaid’s gifts can really be anything you think your bridesmaids will love or that you find meaningful. These can be anything from a DIY project or a piece of jewelry you buy as a keepsake to remember the day. The most important thing is that it is something personal that reflects you and your family and friends. It should be something that you know all of your bridesmaids will wear or use or something you call all use together. So what is the best gift to give? The options are endless. There are a million different avenues you can go down when picking out or making your gifts. Because you’re already spending so much on your wedding, these gifts should be cost effective and meaningful. Theres no need to shell out the cash for something that your friends will throw in the back of their closet. With a little bit of thought you can make sure these gifts are not only on a budget but something your bridesmaids will treasure. Check out some of these fun ideas! Jewelry: The classic gift to give to your bridesmaids is no doubt jewelry. But by no means does this piece of jewelry have to be the same for everyone or boring. A fun idea to gift to your bridesmaids is personalized necklaces or rings. You can ensure your bridesmaids will love it because what girl doesn’t love a new accessory? To make it even more special you can get necklaces with each bridesmaids initials and the date of the wedding engraved. Engraving is typically low cost, especially if you go to your local mall and look for one of the kiosks that do it. Your bridesmaids will love this little memento, especially with a personal touch! Spa Day: What girl doesn’t love a day at the spa? For your gift to your bridesmaids, giving them a DIY spa day would not only be fun but give you guys a chance to all meet back up and have a fun day together! To make this gift a little more personal you can have bags made with the date of the wedding or everyones initials on them. Then go to your local drugstore and buy all the fixings for a day at the spa! This includes manicure and pedicure supplies, face masks, flip flops, body scrubs, and whatever else you want to throw in there. This gift is something your bridesmaids will be sure to thank you for later! Wedding Kit: Giving your bridesmaids a gift before the wedding is just as good as receiving it after. Gifting a wedding kit to your bridesmaids is sure to be hit! The first step is to purchase a matching wedding day clutch for everyone. If you want to go the extra mile you can have them embroidered with everyones initials. Simply fill that clutch up with everything your bridesmaids might need during the big day! Hair spray, lip gloss, mini brushes, and makeup are the perfect things to make sure your bridesmaids is well stocked on. With these supplies you can make sure your bridesmaids will be looking glam throughout the whole day! Perfume: Looking for something that will last a bit longer for your bridesmaids? Personalized perfume is the perfect way to go! 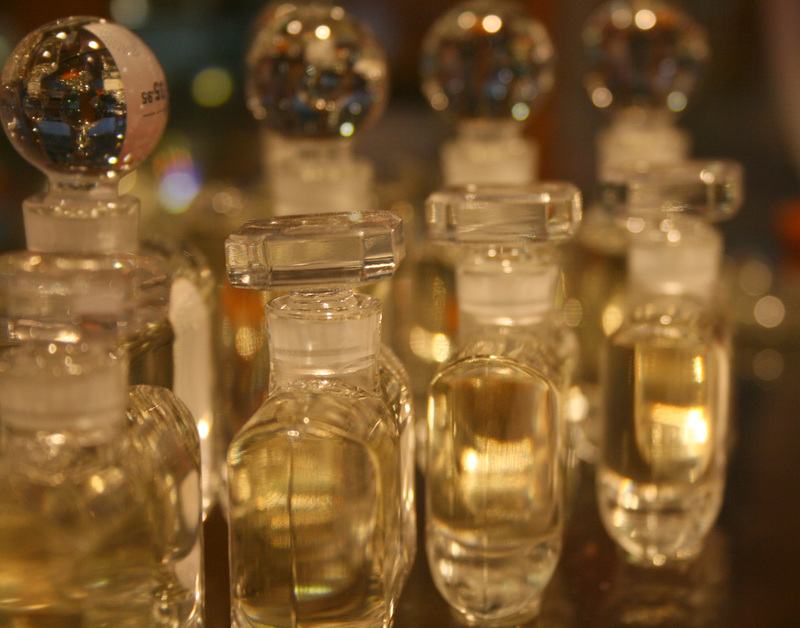 Simply go to your local mall or perfumery and buy your favorite bottle of perfume. It will work better if the bottle is square or rectangular. Go online and make a cool label with the date of your wedding and the bridesmaids name. Print it out and wrap it around the perfume bottle for an awesome gift! If you’re looking to be creative or want to have a circular bottle you can always get paint and write on your own little message! BounceU of Farmingdale nominated for Best of Long Island Award! Subject: LongIsland.com - Your Name sent you Article details of "Give Your Bridesmaid the Best Gift!"